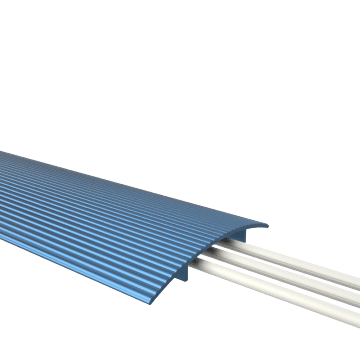 The heavy-duty aluminum construction of these metallic cable ramps protects cables from equipment and vehicles. They have a textured surface for traction. Use them in high-traffic areas.